Here we will primarily deal with the first type of fasting - fasting to aid one’s spiritual development. If one wishes to fast for reasons of health, or weight reduction, one may do this at any time according to the given medical recommendations. However, when fasting for spiritual development there are certain rules and regulations to observe. The preparation and structure of the fasting days and one’s mental attitude are of greater importance in the spiritual fast. Any action performed consciously has greater influence upon the mind and psyche than any activity performed unconsciously. For the spiritual aspirant, fasting is not just to forgo one or two meals, but above everything else means to overcome bad habits, negative qualities and thoughts, and to restrain one’s self physically and mentally from any unnecessary activity. The fasting day should be a conscious, selfless, physical and mental sacrifice. If all of mankind lived as Vegetarians and fasted one day each week, the hunger problems, as well as many health problems, in the world today would be resolved. But why do many people fall into depression on the full moon?Those who become depressed are unable to allow their feelings and energy to flow outward. Their energy is blocked, therefore they feel nervous, touchy and despondent. 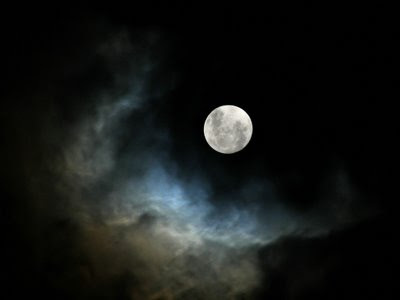 However, precisely on the day of the full moon there exists a great opportunity to inwardly purify. The strong energy that streams into us on these days can release energy blockages and one’s energy can be restored to its natural flow. This functions like a drain or a channel where much rubbish has accumulated and become blocked. In order to clean it, one takes a hose and flushes out the drain with a strong jet of water to sweep away all refuse. In just this way the energy of the moon can have the same effect on blocked feelings and complexes. When we strengthen this effect by repetition of Mantra and fasting we purify our inner functions (Antahkarana) - our mind, intellect, consciousness and ego.